​When she's not busy travelling the globe and writing about her foodie adventures, Holly Anderson, aka The Wandering Matilda, is in the kitchen cooking up a storm. She's a big believer in simple, nourishing, homemade deliciousness—just our kind of cooking! 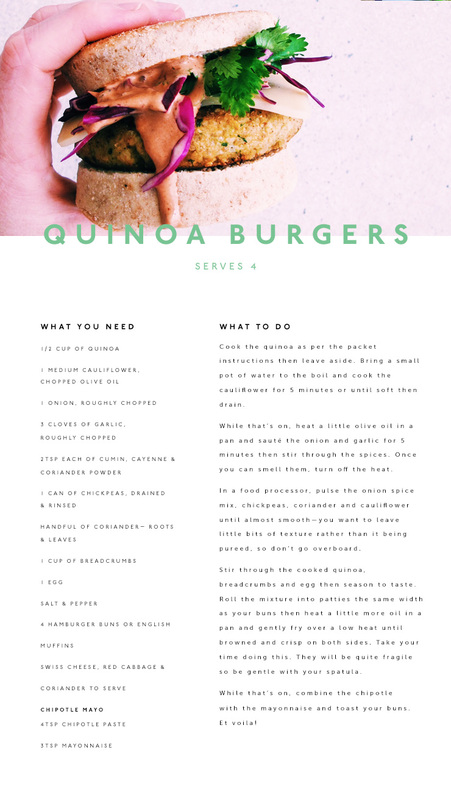 These cauliflower and quinoa burgers with chipotle mayo are nutritious and ridiculously delicious, plus they are super simple to make. What are you waiting for? Get cooking! Want more? Check out this Raw Salted Caramel Dessert You Need In Your Life.